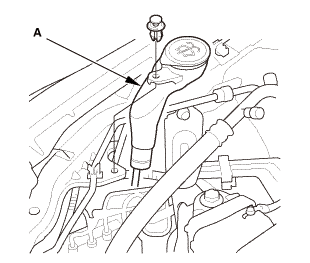 Remove the washer filler neck (A) from the washer reservoir. 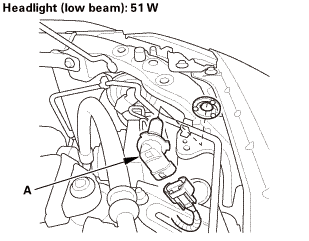 Turn the bulb (A) 45 ° counterclockwise to remove the bulb. Turn the bulb (A) 45 ° clockwise to install the bulb. Install the washer filler neck (A) to the washer reservoir.